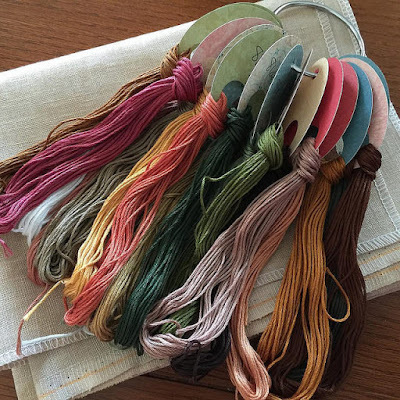 Nicole's Needlework: Episode 6 - Lots of Stitching! All Creatures Great and Small by Barbara Ana using 40 ct. Vintage Country Mocha and Anchor floss. Must Stash Perfect Sock in Pippi. 40 ct. Vintage Country Mocha Linen by Zweigart and Anchor threads for All Creatures Great and Small. Plum Street Samplers Summer in Nantucket chart and 35 ct. Confederate Gray linen. The Scarlett House Sarah Redfearn 1826 chart from Down Sunshine Lane. 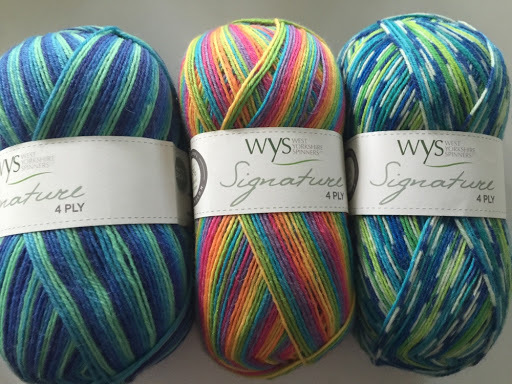 I won the giveaway prize for the Yarngasm Podcast Wildes Meer KAL. Kristin of Voolenvine Yarns sent me a beautiful package the other day! The yarn is on is her Wolke base in Jilted Rose. 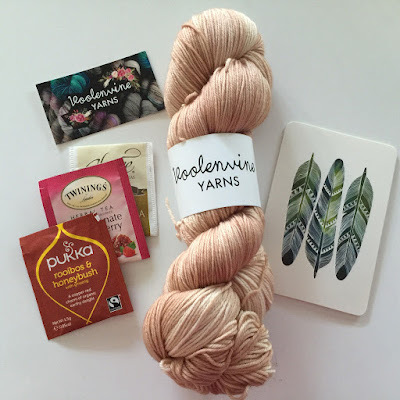 Yarn Stash from Wool Warehouse. I chickened out on buying the pdf electronic pattern; I ordered through 123stitch.com...can't wait to start! I love what the #stitchingrevolution has done for us! And so many more! Hope you have a great week! Now to check out the wool warehouse!